Be sure to check the website ahead of time for water levels, but best times are March-November. If you park at the Lake Lewisville Environmental Learning Area, the cost to enter is $5.00 / person. The remainder of the put-in spots along the river are free. 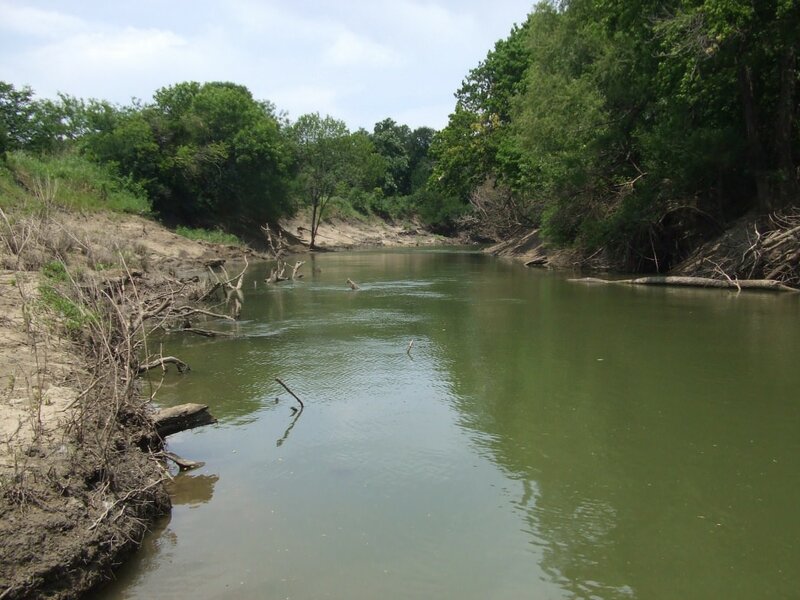 When you ask a local about the Trinity River, you usually get a look of disgust and disgrace. Visions of trash, debris, and murky water have traditionally been the first thing to come to mind when discussing the river. In recent years, however, the City of Dallas and its dedicated citizens have worked hard to clean the river up. Monthly cleanups from local organizations are the norm now, and things have improved greatly. 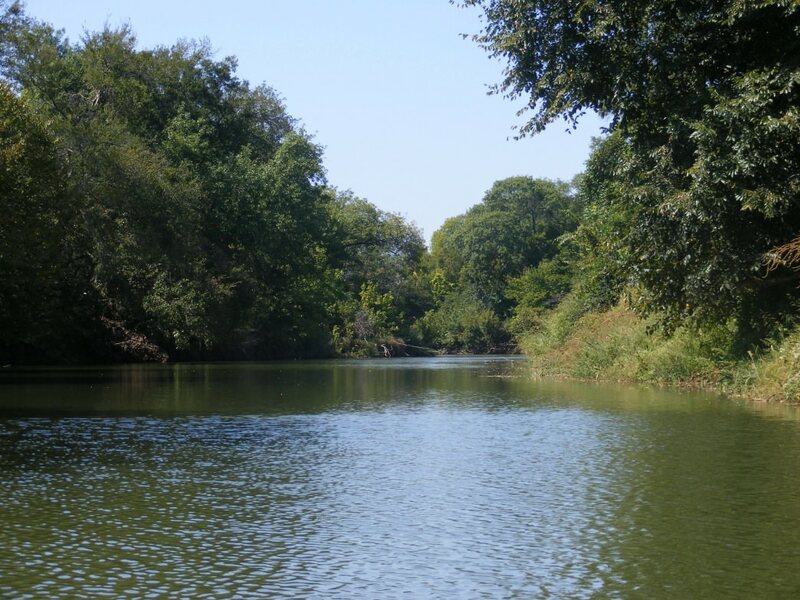 Aside from that, the waterway extends far north of its ‘dirty’ origins flowing near downtown, giving the Elm Fork a lot to offer in the way of flat water paddling. Beginning at the Oklahoma / Texas Border, the Trinity River splits off into 4 forks - with the Elm Fork heading directly south into Downtown Dallas. For the local paddler, the best put-in for the longest day trip is below the Lake Lewisville Dam. You can reach this put-in by entering the Lake Lewisville Environmental Learning Area and heading to the boat ramp on site. This is a great site to end at as well, and because of the slow current of the river it’s highly possible to go down and back in a few hours. The water from this put-in is the clearest it will be and flows the quickest it will through the entirety of the route. Upon dropping in, you’ll immediately notice the high banks the river has cut into the North Texas landscape. As you float down south this can be particularly beneficial, as the noise from the various highways, roads, and rural areas will be drowned out. During the hot summer months, the paddler will be pleased at the ability to escape the sun’s rays under the thick canopy that runs along most of the river’s edge. Kayakers and Canoers will make this a regular spot for quick weekend day trips. With the ample amount of put-ins, it’s easy to find a spot along the approximate 34 miles of water from the Lake Lewisville Dam, to the confluence of the West Fork and Elm Fork where the route will end. With the slow currents and lack of any real obstacles, paddlers of all skill levels will be able to take on the river. Nature lovers will enjoy their time on this fork, as the thick forest surrounding the banks provides excellent cover for various wildlife. From I-35 heading north out of Dallas, take the Business 121 exit East and immediately merge onto Mill St. This will take you through Old Downtown Lewisville, where you will keep right onto Kearly St. When Kearly St. dead ends, take a right and enter the Lake Lewisville Environmental Learning Area. Other popular spots to drop in are McInnish Park in Carrollton, T.W. Richardson Grove in Valley Ranch, and California Crossing Park in Irving.